Mrs. Wentworth came to see Father Bredder with a very disturbing story. She was terrified of being murdered – burned to death – by her husband. She told him of the time her mattress was soaked in gasoline, and other mysterious incidents. She’s even heard her husband’s voice telling her that she must be burned! But how could this be possible? Mrs. Wentworth’s husband, a dentist, has been dead for two months, having died in a traffic accident! Father Bredder’s motives for investigating crimes are simple: he wants to save the soul of the criminal, for he or she has not just broken the laws of men, but the law of God. Holton’s essay did spoil the first book of the series, The Saint Maker, but that still proved to be a delightful read. Well, since originally reading and reviewing The Saint Maker in 2013, I was delighted to discover that Holton’s Father Bredder mysteries are available – at a very reasonable price – in the Kindle store. 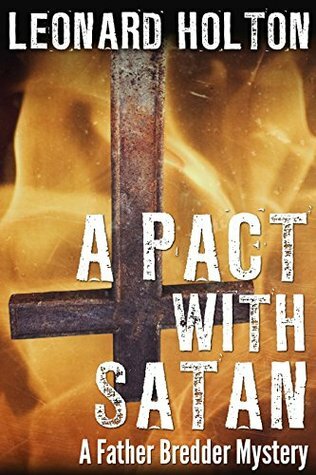 So I was eager to jump into A Pact with Satan, the second book in the series, to see if I would enjoy it. Unfortunately, A Pact with Satan is a relatively big disappointment as a mystery. As soon as the mystery was outlined, I knew the solution, and was shocked only by how obvious the answer was. I saw precisely what Holton was trying to do. In the very best mysteries, not a single fact is concealed from the reader. How, then is the author to spring a surprise? One effective way is to get the reader to construct a faulty framework to interpret those facts. At the last moment, the author changes the framework, and voila, there is the solution, so surprising, yet so obvious in retrospect! Thus, to make a ridiculous example, the crucial fact that the dead man would enjoy ice cream in his study is not crucial due to the ice cream, but because the freezer in which the ice cream had to be kept was missing. Unfortunately, the framework Holton wants you to make is so rickety and clearly faulty that as a seasoned mystery reader I didn’t buy into it for a moment, but instantly saw the correct framework. But on top of this major flaw is the fact that the motive is both absurd and sprung out of nowhere. It was the only aspect of the mystery I couldn’t understand, and when I read the explanation I shook my head in disappointment. 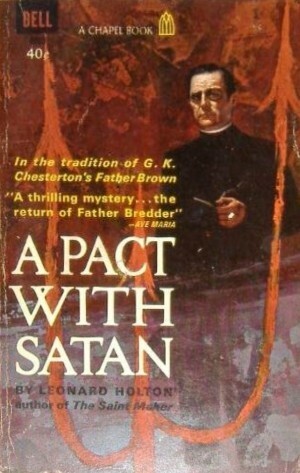 Indeed, the most fascinating mystery in A Pact with Satan was the mystery of what Lieutenant Minardi would buy his daughter Barbara for her thirteenth birthday: he enlisted Father Bredder’s help for gift suggestions, and their attempts to come up with something were one of the book’s enjoyable features… but even this got a very disappointing resolution, because it technically never got resolved! Barbara does indeed get a present, but it doesn’t technically come from her father. So as far as I’m concerned, this is a cold case. Does that mean that I hated this book? No, it doesn’t. Father Bredder and Leonard Holton built up a lot of good will with me in my previous exposure to their stuff, and this proved to be the difference maker. I already liked this fictional universe and the characters within, and it was nice to be back. 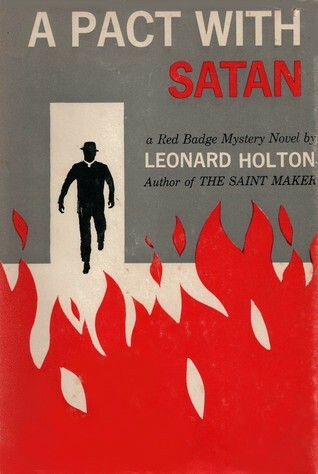 I particularly like what Holton tries to do in constructing a mystery where Father Bredder’s identity as a Catholic priest gives him unique insight into the spiritual condition of the people around him, including the criminal. It is different from Chesterton’s Father Brown, though superficially it may sound identical. I also love Father Bredder, a man who tries his best to be a good priest but who has also experienced the horrors of war. However, as a seminarian studying to become a Catholic priest one day (God willing), this could be bias on my part – I’m not sure a non-Catholic would get the same level of enjoyment out of Father Bredder. 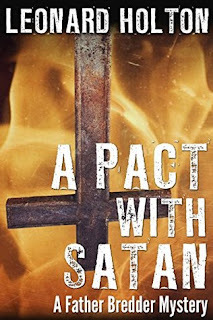 Regardless, A Pact with Satan is the wrong book to begin reading this series with. The solution is obvious, the whole case is frustratingly transparent despite having a few good ideas – I would have liked to see the murder method explained at the end in a better mystery. It is fun to meet these fictional characters again, but if you were meeting them for the first time, you might walk away asking yourself why it took them so long to spot the obvious. Thanks for the great review, Patrick! I like your example of the ice cream and freezer as a distraction clue. This is a new series to me, Patrick. I have a copy of The Great Detectives and I should pull it out and read about more of the authors / detectives. Be warned that Holton's essay spoils the ending to the first Father Bredder story, THE SAINT MAKER. Thanks for the review, and it's great to have you blogging again. I was an avid reader of your blog, and have started my own since you have been away. How long left of seminary?! I'm glad you enjoyed reading this piece! As you can tell by my late reply, even though I'm back, I'm prone to small disappearances (the circumstances of which I don't need to go into right now). By my count I still have four years of seminary left, but some of my classmates have begun to round that down already to three.